Celebrate National Ice Cream Month by checking out these books with ice cream on the cover from our Juvenile Fiction section! A Snicker of Magic by Natalie Lloyd JCD FIC LLOYD – The Pickles are new to Midnight Gulch, Tennessee, a town which legend says was once magic–but Felicity is convinced the magic is still there, and with the help of her new friend Jonah the Beedle she hopes to bring the magic back. Sprinkle Sundays by Coco Simon J SIMON – When Allie and her mother move one town away after her parents’ divorce, Allie must find a way to stay close to her best friends Sierra and Tamiko. The Chocolate Sundae Mystery by Gertrude Warner JPLWY WARNER – The Boxcar children investigate when ice cream and other items start disappearing from their favorite ice cream parlor. Today I recommend: Mr. Crum’s Potato Predicament by Anne Renaud. When a fussy patron sends his order of potatoes back twice, chef George Crum decides to have some fun, based on the true story of the potato chip. This book is an enjoyable mix of both history and a good dose of your classic tall tale. What makes this one specially nice is the inclusion of some back matter that gives information about the real-life Mr. Crum and the photographs of the restaurant which explains how even if eh was not the original inventor of the potato chip that his version was certainly well-known. Hand this to anyone who enjoys humor and anyone who loves this classic snack. You can find this book in the Easy Fiction section at E RENAUD. “What’s for dinner?” seemed like a simple question—until journalist and supermarket detective Michael Pollan delved behind the scenes. From fast food and big organic to small farms and old-fashioned hunting and gathering, this young readers’ adaptation of Pollan’s famous food-chain exploration encourages kids to consider the personal and global health implications of their food choices. Look for this book in our juvenile nonfiction section under the call number j394.12 CHEVAT. Happy Cubs Home Opener Day! To celebrate we’ve been thinking about some of the craziest ballpark food we’ve eaten, and we’re not the only ones: USA Today wrote an article highlighting the craziest food offerings for the 2017 MLB season. You can see the list by clicking here. I would be willing to try all of that, would you? We noticed that Girl Scout Cookies have been delivered, and it started a debate of which Girl Scout Cookie is the best! We couldn’t come to an agreement but it made us very curious about what cookie was the most popular. So we found a survey that was done to identify the most popular Girl Scout Cookies in the United States and in each state. The product discovery and review website Influenster conducted a survey and found that Thin Mints were the most popular, as you can see in their neat infographic! You can read more about the survey and the findings: https://www.influenster.com/article/top-girl-scouts-cookies-by-state. Do you agree or do you have a different favorite cookie? And the countdown begins for one of the best days of the summer…National Ice Cream Day on July 17! You should be totally excited, not only because ice cream is kind of the best treat ever created, but because most places that sell ice cream have deals during the summer. Places like Cold Stone will have a “buy one get one free” ice cream deal, but check with your local store. Watch these kids try to guess 16 different flavors of ice cream! Interested in experimenting in the kitchen? Here are some fun and simple recipes to get you started! Macaroni and Cheese (not from a box) – or you can try the even simpler Mac & Cheese in a Mug. Looking for more recipes? You can find these books for beginning cooks at the library. And a few more meals you can make in a mug! March is a great month for scientists,gardeners, environmentalists, and curious minds alike. The weather is changing, the birds are back, and plants are growing (or not growing). Maybe seeing the bushes start to bud has got you thinking ahead to your summer garden. Not a gardener? Well do you like to be green? Do you chant, “Reduce, Reuse, Recycle,” every chance you get? Do you like trying experiments you see online? If you said “Yes!” to any of those questions, then I have got a cool experiment to share with you! 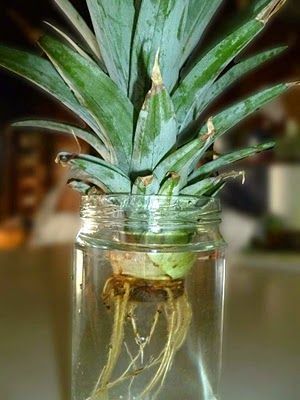 There are some vegetables you can regrow from scraps?! Click the photo to see more!